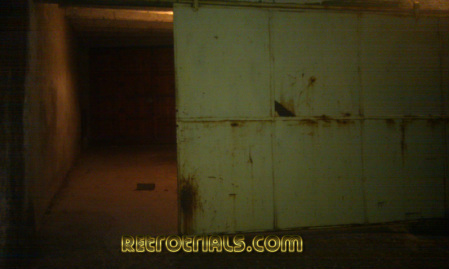 Here are some pictures of the original Mecatecno factory in Martorelles , Barcelona. 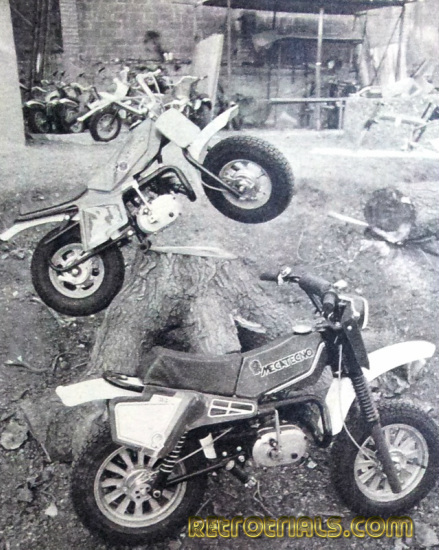 When Mecatecno first started out in 1979 as a new company they needed to keeps costs down.With this in mind Jordi Rabasa used the workshops at the top of the families garden. The workshops back then were small and cram packed with equipment. Looking up the garden there was one workshop at each side of the garden with a large gap in the middle , where a pond was. 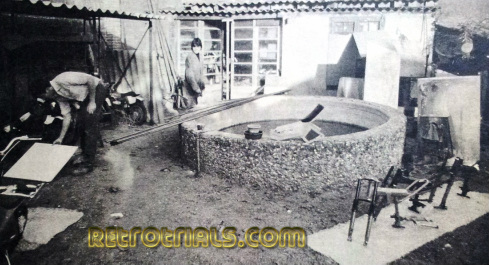 Over time the pond was removed and the gap filled in with more workshop. This must have doubled the space they had. In 1982 Mecatecno needed more space and moved to Els Xops industrial estate , Barcelona - see the next page for information on this factory or click here. 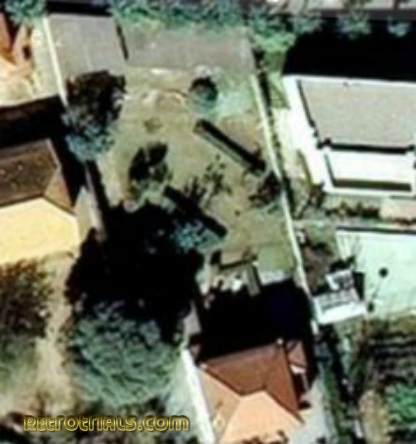 Here are some pictures of the original Mecatecno factory. 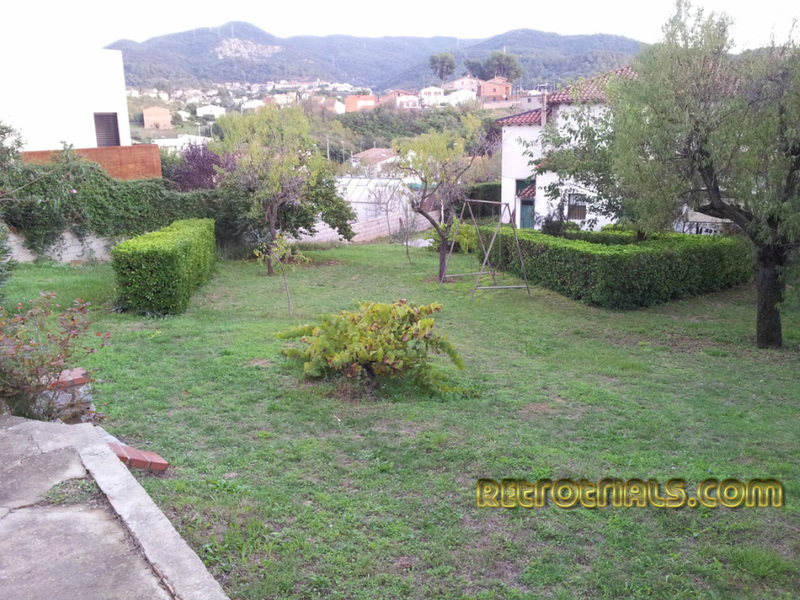 When Mecatecno first started out in 1979 as a new company they needed to keeps costs down.With this in mind Jordi Rabasa used the workshops at the top of his family house. Arent these great photos. They are inspiration to every person who has a dream .Just have the courage and get on with it. 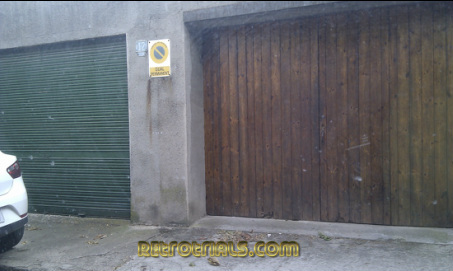 You dont need flashy factories and equipment - hundreds of bikes were made and sold from here. 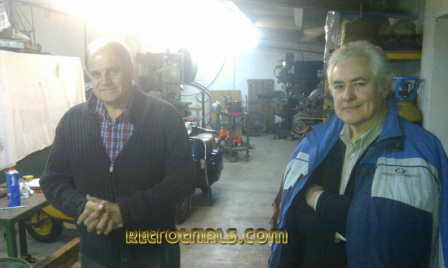 Jordi Rabasa and Juan Ruiz are seen here (Dec 2011)inside of the above workshop where Mecatecno first started. 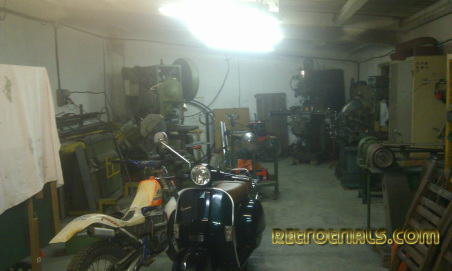 The workshop now contains some of the industrial machinary that was kept and rescued by Rabasa after the company ceased trading. 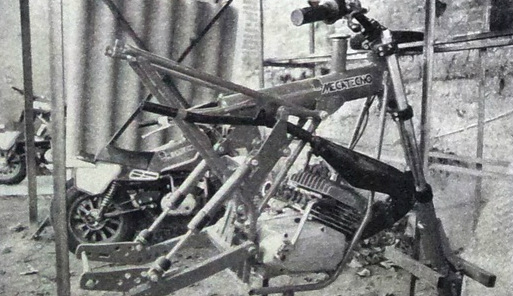 Another view, this time of some of the machinery rescued from Mecatecno.